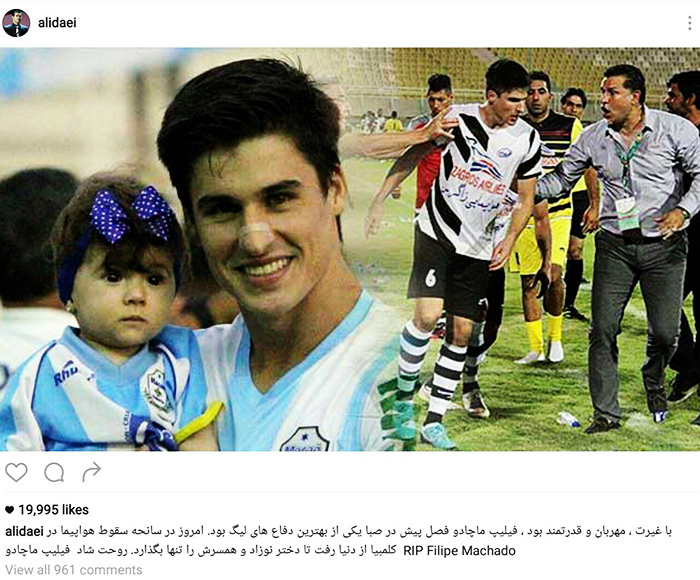 Iran’s football legend Ali Daei has released a message of condolence over the death of Brazilian football player Filipe Machado in the recent Columbia plane crash. A plane crashed in Colombia on 28 November 2016 while transporting the Brazilian Chapecoense football team from Bolivia Colombia. Filipe Machado, a former player of Iranian football team Saba, was one of the 72 passengers who lost their lives in this plane crash. 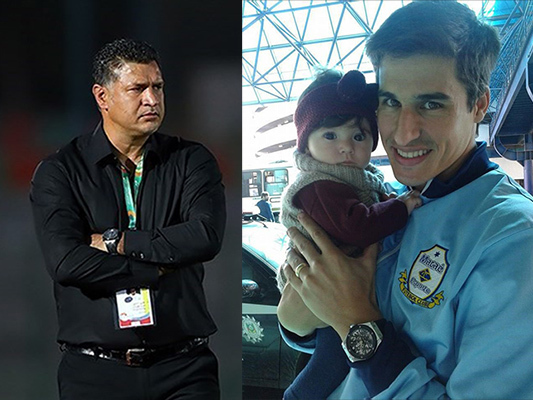 Ali Daei, who was the head coach of Saba when Machado played in Iran, said in a post on his Instagram account that the Brazilian footballer was a kind and strong man. “Last year in Saba, Filipe Machado was one of the best defenders of Iran’s Pro League. He died in the plane crash in Columbia to leave his baby girl and wife alone. Peace be upon you, Filipe,” Daei said in his message, according to a report translated by IFP.